As the summer sun continues to heat things up, it will also cause a few changes to take place with your car. 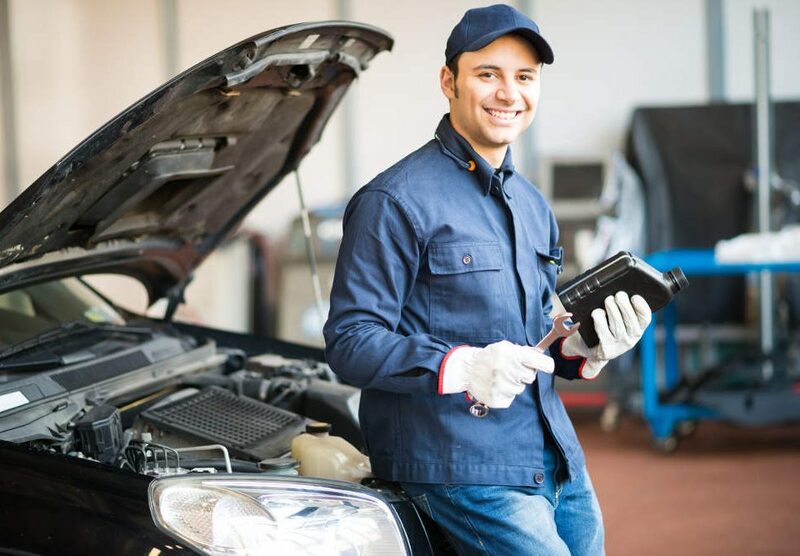 Road Runner Auto Care in Apple Valley can check your car before you get on the road to ensure everything from the tire pressure to the fluids are where they need to be so that the vehicle is safe to drive. One of the things that you want to keep an eye on is the coolant level. When the temperature outside is warmer than it is in the winter, the car has a tendency to use more coolant in order to keep the motor cool. When you check the coolant after driving, let the car cool off because the fluid can burn you if you open the radiator cap too soon after cutting the car off. Road Runner Auto Care in Apple Valley can examine your cooling fan to ensure that it’s working properly. This fan usually comes on when the air conditioner is running or if the car is reaching a certain temperature. If you don’t hear the fan running, then there’s a possibility that a sensor could be out or that the fan itself has stopped working. If the clutch in the fan begins to leak fluid, then the clutch will need to be replaced because it will prevent the fan from coming on and prevent the fan from cooling the motor as it should. This will allow the car to overheat, which could then damage other components besides the motor, such as the water pump or the radiator. 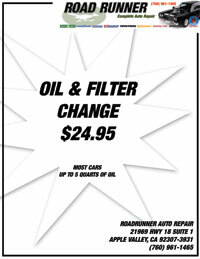 The summer season is a good time to let Road Runner Auto Care in Apple Valley check your battery and alternator. These two components can sometimes struggle in the summer heat. The hot weather will cause the liquid inside the battery to evaporate faster than in the winter, which can begin to drain the battery faster. When the battery begins to slow down, it can impact the alternator as well.